The Asia Pacific region has long been propelling the growth of the global aviation industry. The International Civil Aviation Organization (ICAO) estimates that by 2030, air traffic in this region will triple. The sub-region of Southeast Asia is poised to also benefit from this growth. By liberalizing air services and allowing airlines from ASEAN member states to fly freely throughout the region, ASEAN Open Skies will greatly enhance air connectivity, a critical component of the push towards deeper economic integration that promises significant economic benefits to the citizens of ASEAN member nations. Lifting restrictions on capacity and competition means that low-cost carriers like AirAsia will be able to provide more flights at competitive prices. This will rapidly democratise air travel; access to secondary cities will be improved, driving economic growth and job creation beyond ASEAN’s already overpopulated megacities. These benefits risk being curtailed if governments and industry do not work together to transform policy into reality. Existing infrastructural challenges surrounding capacity, efficiency and service quality need to be addressed. There needs to be a harmonisation of standards across ASEAN, in particular, safety standards and I think we can learn much from Europe’s single aviation market approach. A uniformly safe ASEAN sky is critical to the success of ASEAN Open Skies. But it requires all aviation stakeholders in the region to commit to the same standards, in line with ICAO annexes – whether it is the airworthiness of aircraft, adequacy of aviation training and qualifications, or the stringency of checks. As importantly, the region needs to rethink existing protectionist policies that hamper the development of air travel, including restrictions imposed by ASEAN states on the ownership and control of airlines. If air travel is to be truly democratised, then authorities in the region must lift these restrictions and allow the establishment of regional carriers – majority-ASEAN-owned airlines that can freely operate domestic and regional flights and provide air services where they are most needed. Many of ASEAN’s airports are already operating above capacity and while new airports, terminals and runways are being planned, these projects may take 10 to 15 years, from planning to completion. There is thus a critical need to enhance capacity by ramping up operational efficiency. To effect these substantial changes, a combination of new policies and procedures, technological enhancements and quality training is required. The heartening news is that many of the region’s airport authorities recognise the challenges and are already working towards maximising airport performance and improving safety. 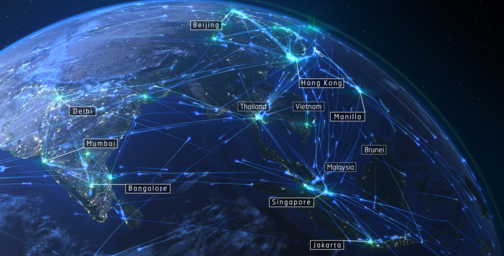 Work is currently being done in Indonesia and the Philippines to increase flight capacity and improve infrastructure to help alleviate air traffic congestion. In Singapore, the Civil Aviation Authority has placed top priority in safety whilst enhancing its air navigation services capabilities in anticipation of future air traffic growth and challenges. There are many challenges ASEAN’s airport authorities need to address to truly reap the benefits of ASEAN Open Skies. The task is huge but so are the potential rewards. IATA estimates that ASEAN countries can add almost 25 million jobs and $298 billion to the region’s GDP by 2035 if they invest in aviation infrastructure. This is up from 11.6 million jobs and $144.4 billion to GDP in 2014. Countries in ASEAN must work together quickly to remove restrictions that stand in the way of air travel democratisation, improve air traffic management and develop the civil air transport sector, which will be critical in achieving sustainable ASEAN economic growth. ASEAN Open Skies is an exciting new dawn!